How to dress up for your dream date...with Netflix. We've pulled together a little bit of everything from the ultra high end (it's like sleeping in your own personal high-count Egyptian Cotton) to the affordable. 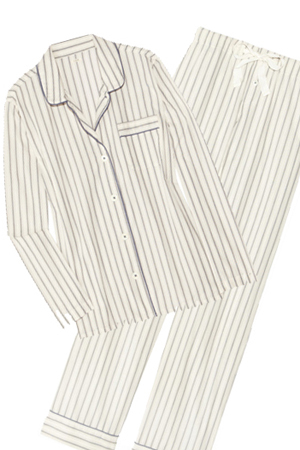 Should-be-seen pajamas that put your threadbare sweats to shame. You don't have to be uncomfortable to be stylish whilst you sleep.